Years ago, before Web 2.0 and live or real time learning applications, lessons by email and newsletter subscription ruled. They're still around and still a useful learning tool. With Paper.li, you can even create your very own newsletter for learning English. Maybe I should do that for Blogging English. 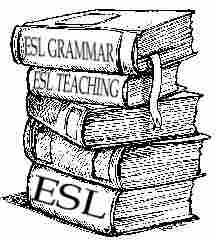 Do you have a favorite ESL newsletter? Please share it with us by posting a link to comments. P2PU is excited to announce an overdue collaboration with Anya Kamenetz, author of The Edupunk’s Guide to a DIY Credential, to create a new course centered around motivated learners who are ready to experiment with an innovative approach to learning. Together we started DIY U: Getting Started With Self-Learning on P2PU.org. This course is a chance to explore the process of self-directed learning. We’ll help each other with two goals: creating an individualized learning plan, where you define your own goals and the path to get there, and reaching out to others to build a network of peers and mentors who can help you on your path. DIY U is a pilot attempt of developing learning plans together. It will runs through September and is intended for those new to P2PU and even to online learning in general. If you’ve been a fan of P2PU but haven’t found a course or study group to suit you, this is a great place to start. If you have friends or students or others in your network who are newer to this self learning thing, please encourage them to sign up! And even if your interest in personal learning plans is more academic or theoretical, we encourage you to bring a focused learning goal to the table! An exciting and diverse crowd has already signed up – with plenty room for more! One of the participants (and a P2PU staffer) has even created a tutorial on how to hack the P2PU course module to layout your individual learning plan. Sign up and start working through the tasks to take charge of your learning goals!